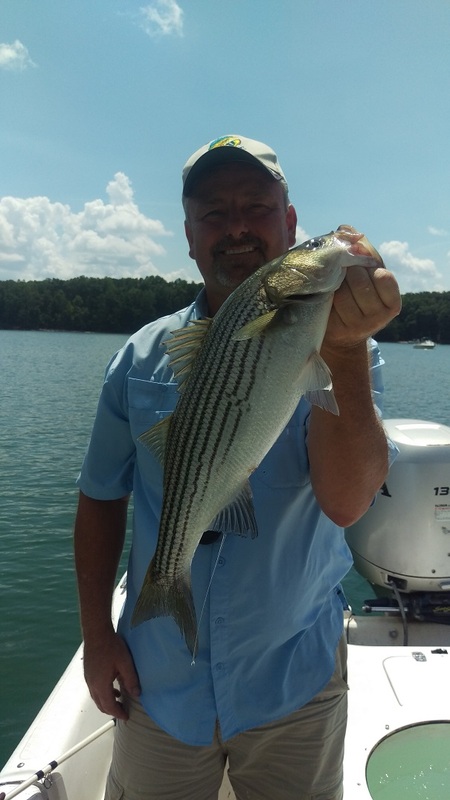 I’ve been doing a good bit of fishing this week, both stripers and bass. 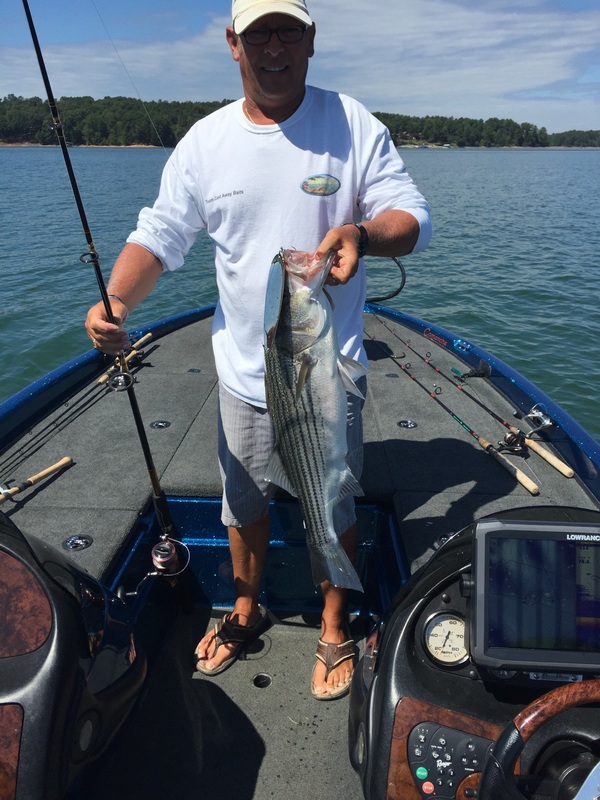 For the stripers, it’s pretty short and sweet. 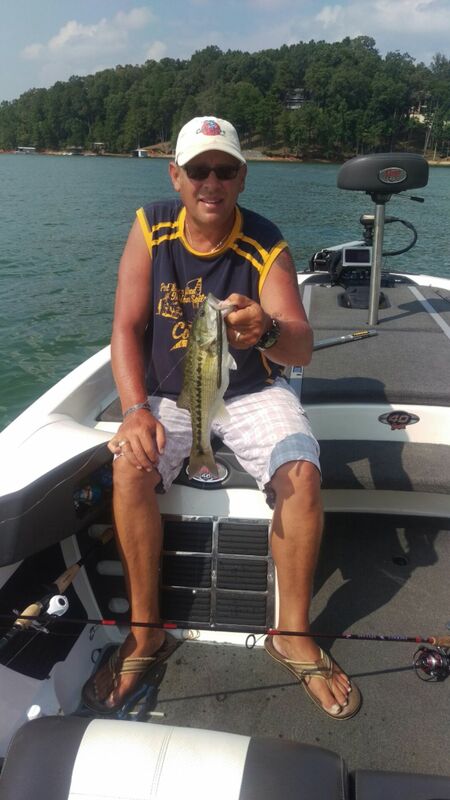 I’ve been running out over deep water on the south end around mid day and it hasn’t taken long to find a few fish. 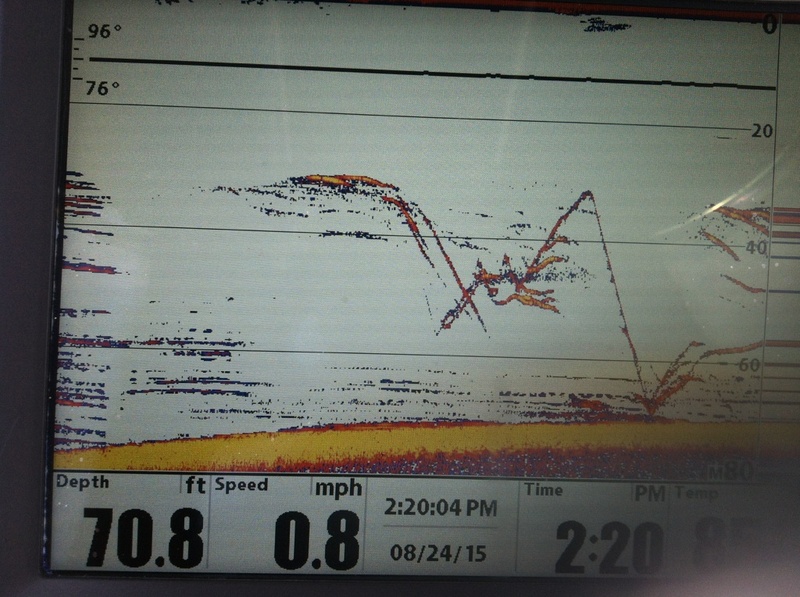 Once I find a few suspended fish on the sonar I drop a chrome Ben Parker Magnum Spoon and get it going up and down. 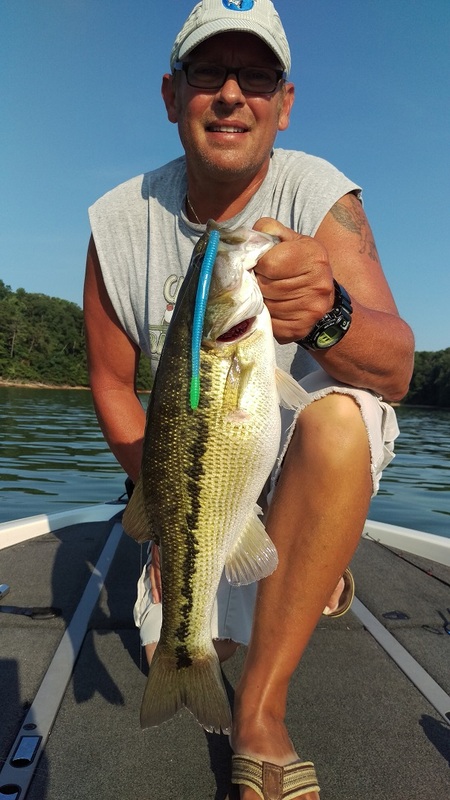 I think the flash of the spoon on sunny days attracts more fish and pretty soon you have a whole school under the boat wondering what all the flashing is about. Then they’ll all get worked up swimming up and down the water column trying to find the bait making all the flash and then they start hammering the spoon. That’s pretty much the way it goes down right now. 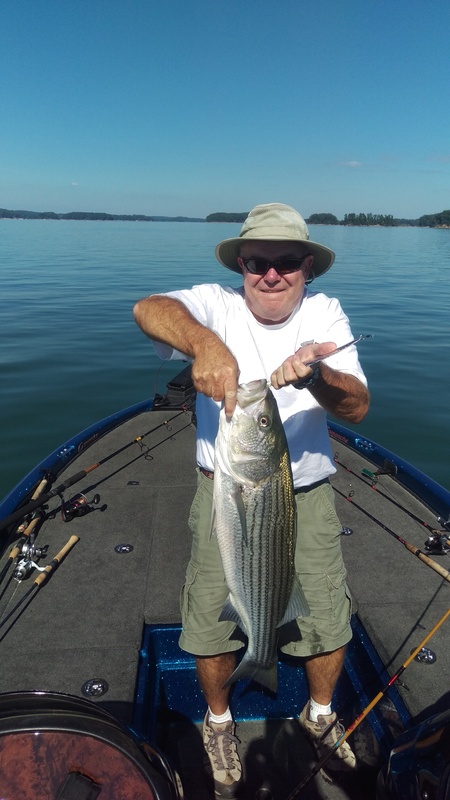 Find the stripers over deep water, drop the big spoon through the fish, reel up and repeat till one hammers it then hang on and enjoy the ride. 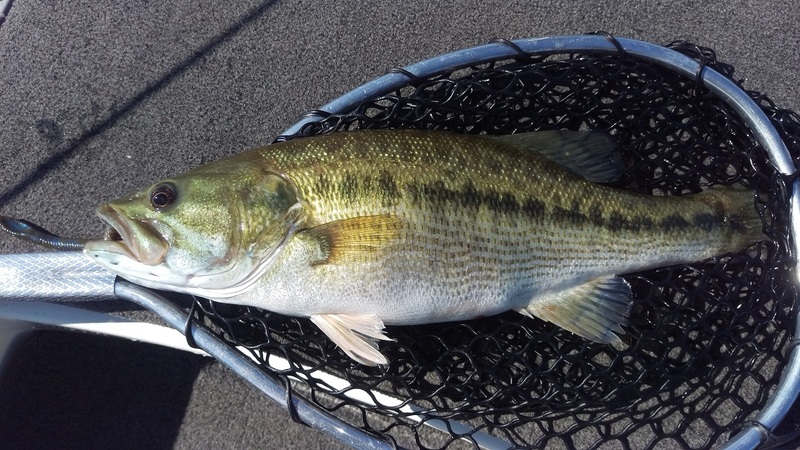 For the bass, it’s been a little more complicated but you can catch a few nice ones if you have patience and fish the right areas. 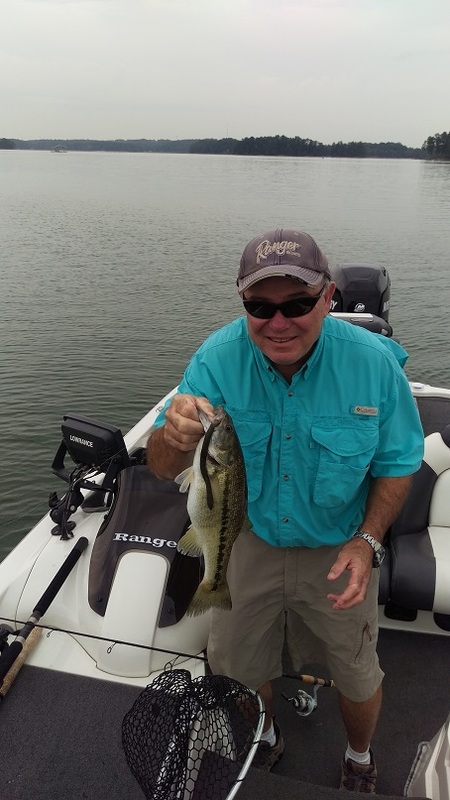 I started the week on the south end trying to find a good early morning bass pattern and after playing with the finicky suspended fish over my brush piles I started looking for shallow fish. I had pretty good luck with a craw on the shaky head for bigger fish but I probably missed more fish than I caught on the shaky head. 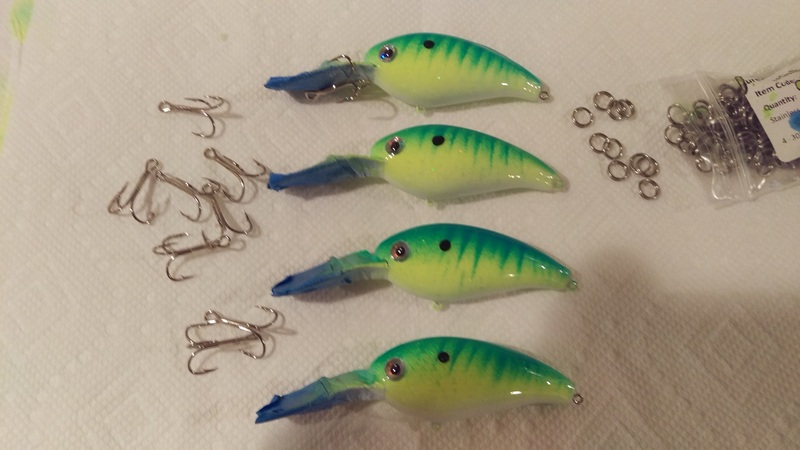 I made my shaky heads jigs in the shop and I didn’t use a wider gap hook which cost me some fish. 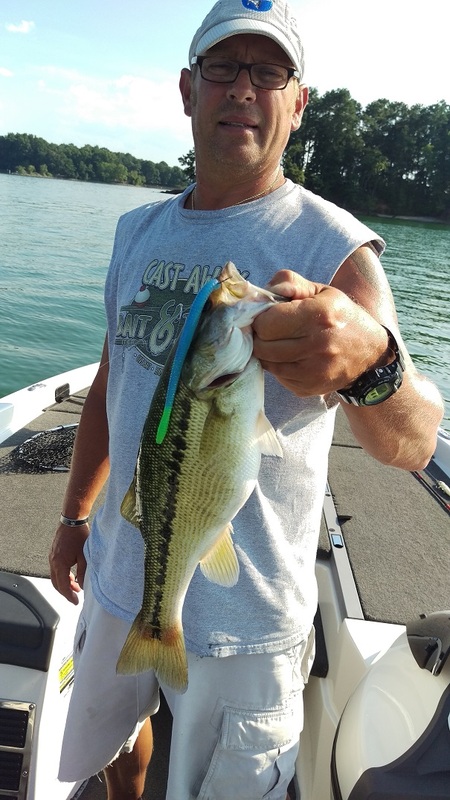 Early in the week I was throwing the crankbait but not getting a whole bunch but on Friday my partner and I fished up on the north end of the lake so I hit my crankbait holes up there and it was absolutely ripe for crankbaits on shallow rocks. 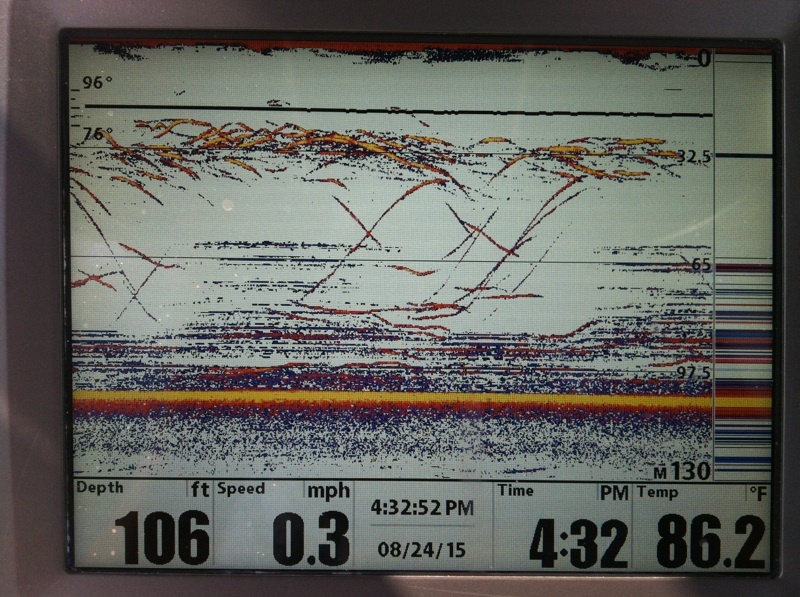 The fish were running threads up into the shallows and whacking them right on the bank very early in the morning. 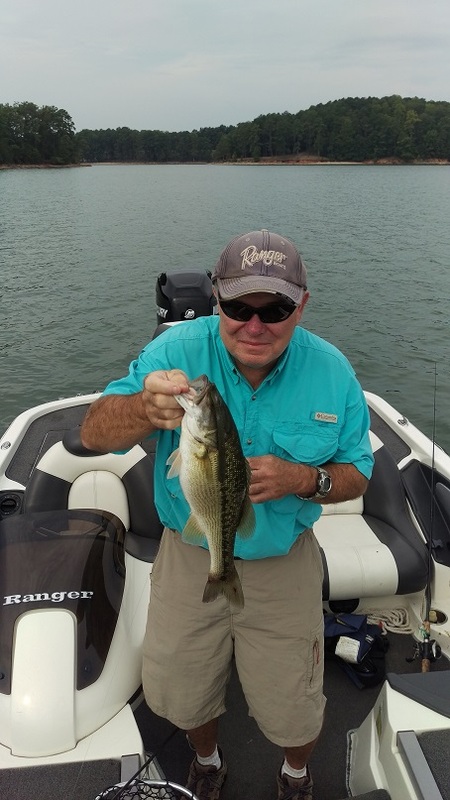 Several times we saw bass pushing bait in less than a foot of water so hitting them shallow with the cranks was the ticket. 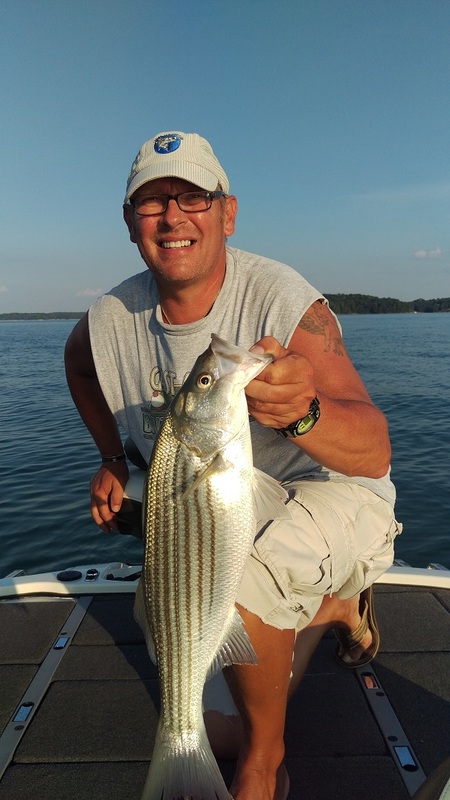 As the day progressed a lot of the fish were backing off the shallows but you could still hit a few cruising the rocks during the afternoon. Our biggest fish came in a couple feet of water around 1pm and we caught a few more nice fish after lunch on both days. I did the unthinkable and didn’t clear the scuffed up flouro after I wrapped it around a dock cable. Two casts later I hooked a good one and the line broke right at the scuffed up area. It was a heart breaker but I probably won’t make that mistake again. Today we fished the Shriners bass tournament out of Little Hall and they had a great turn out of around 40+ boats to raise money for the Shriners Children’s Hospital. I think we finished in 7th place with 11.88 and I think the winners had around 16. We just missed big fish by a couple ounces. 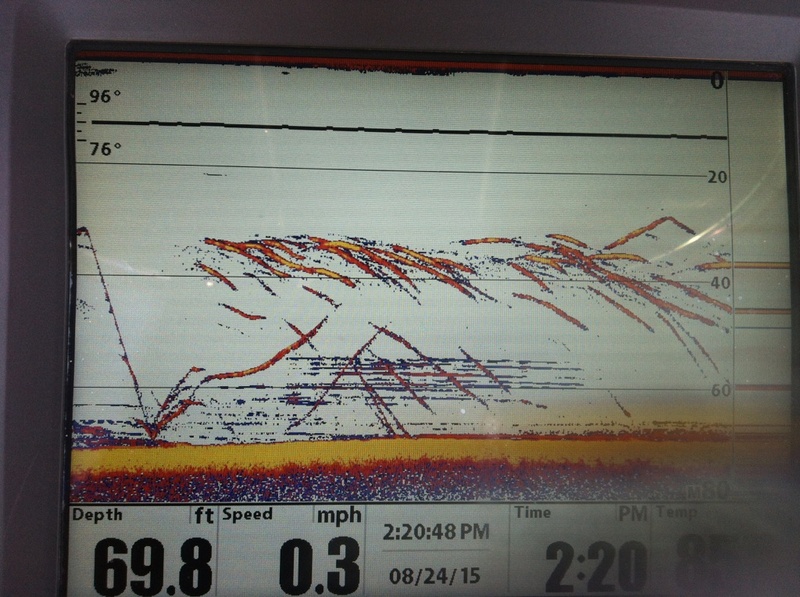 Both yesterday and today just about all of our fish came off cranks fished very shallow. 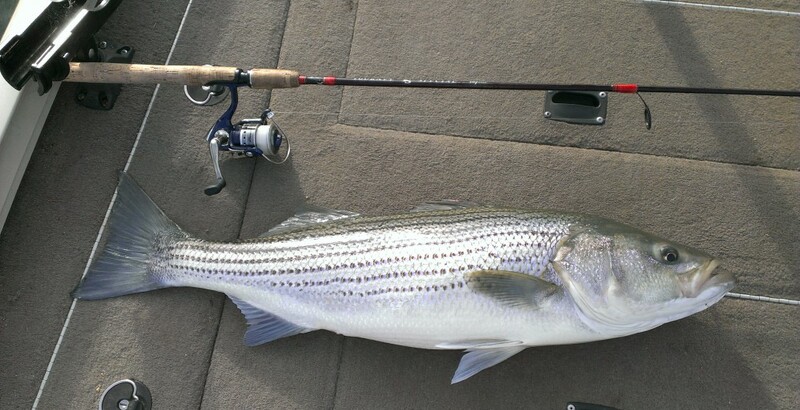 Here’s a couple videos from yesterday and today and a couple pics from some afternoon striper spooning on Thursday. 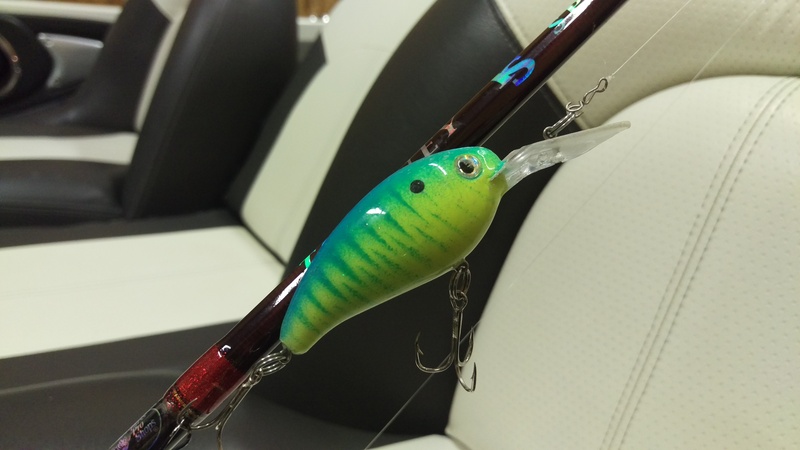 This is a bait that I make in the shop and has been my “go to” crankbait for the last year or so. I did very well with it last winter and you can see the bait in several pictures and a few videos. 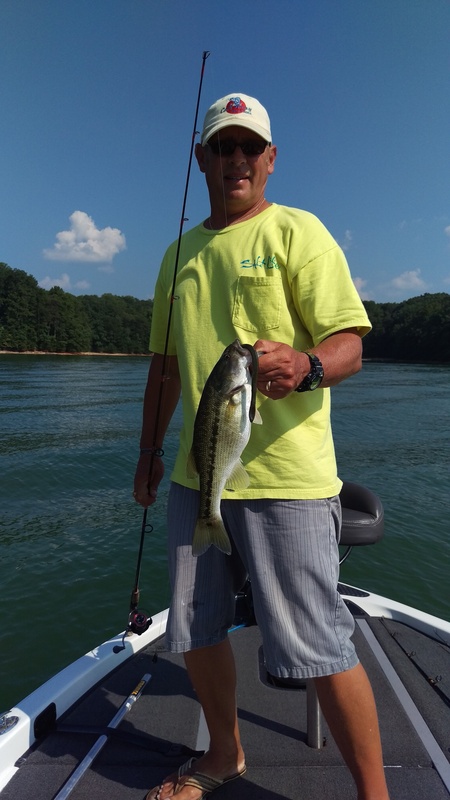 It accounted for 3 of our best 5 tournament fish and 90% of the fish I caught over the 2 day stretch including our biggest on Friday and Saturday. I only had one in that size and pattern and it took a beating on the rocks for 2 days but hooked the biggest fish as usual. The day after the tournament I made these so I’ll be a little better prepared next time. 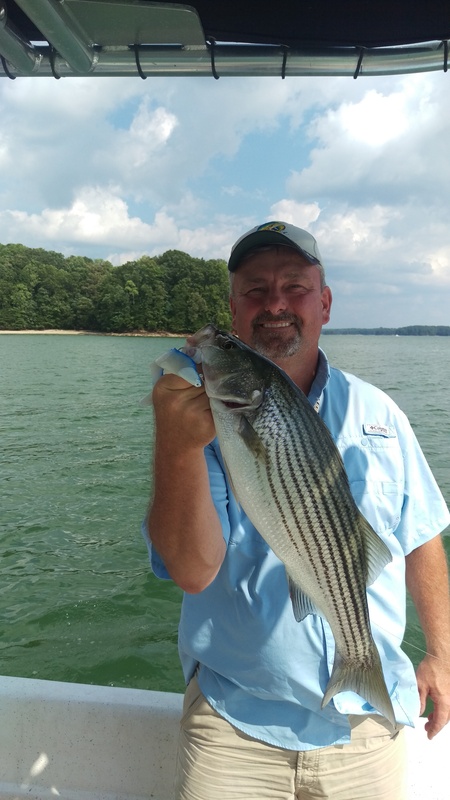 Here are a few stripers we caught on the afternoon of 9-17-2015 while we were suppose to be doing some bass pre-fishing for the upcoming tournament. 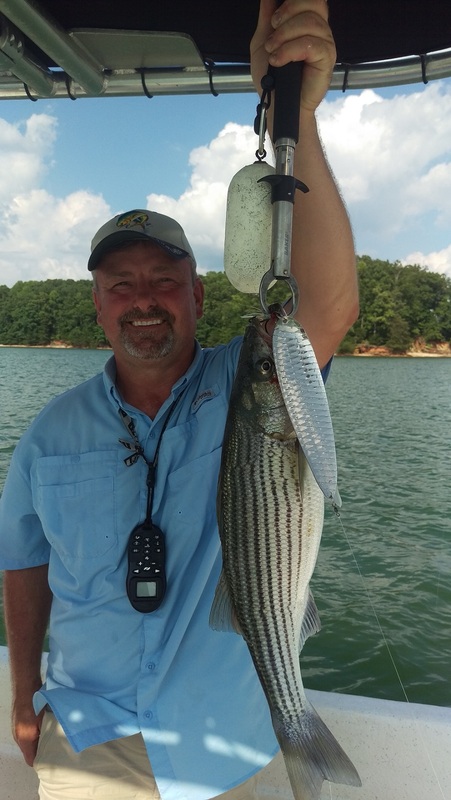 My partner Joey caught his first and second Lanier Stripers on the Ben Parker spoon. Well, as most of you already know, I’ve been on the fish lately. 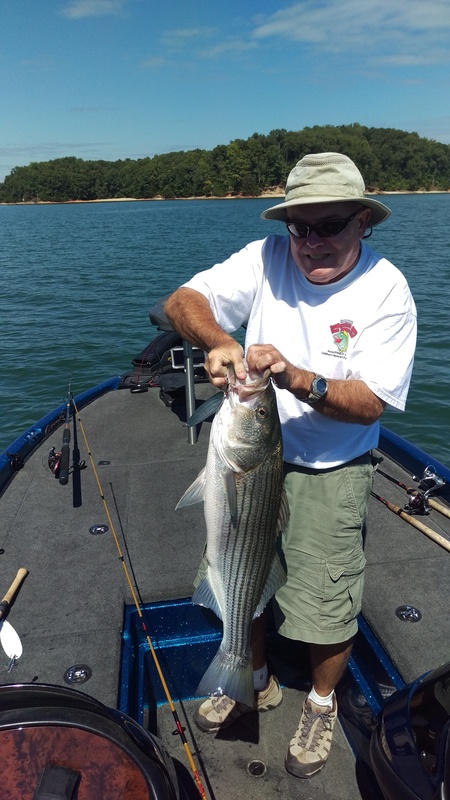 I’ve been enjoying our resident creek stripers out at the mouth of the creek with my new Ben Parker spoons. 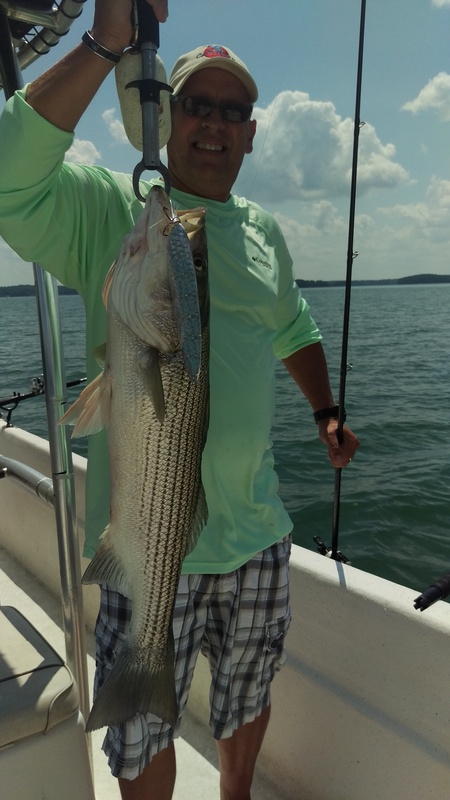 A good friend brought a couple spoons with him a few weeks ago and I jumped in the boat with him for a day. I had never used a spoon that big before but it took all of about 2 minutes to figure it out. 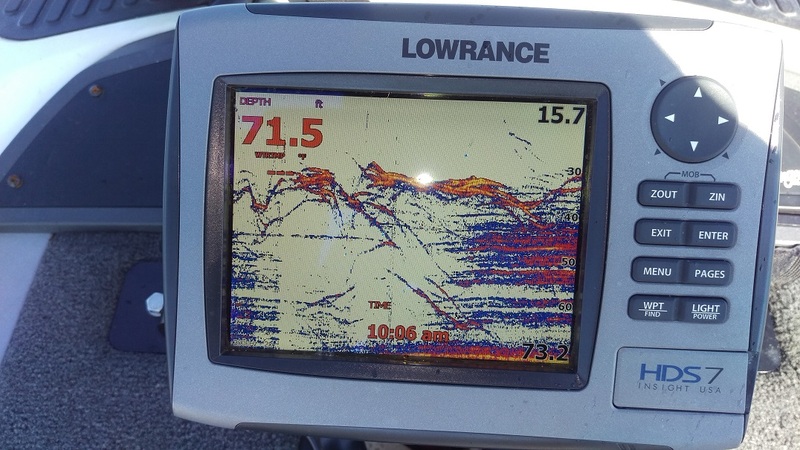 Basically, the way the spoon bite is working is to find the big schools of stripers and drop the big spoon through the fish and then just reel the spoon back up through the fish and hang on. 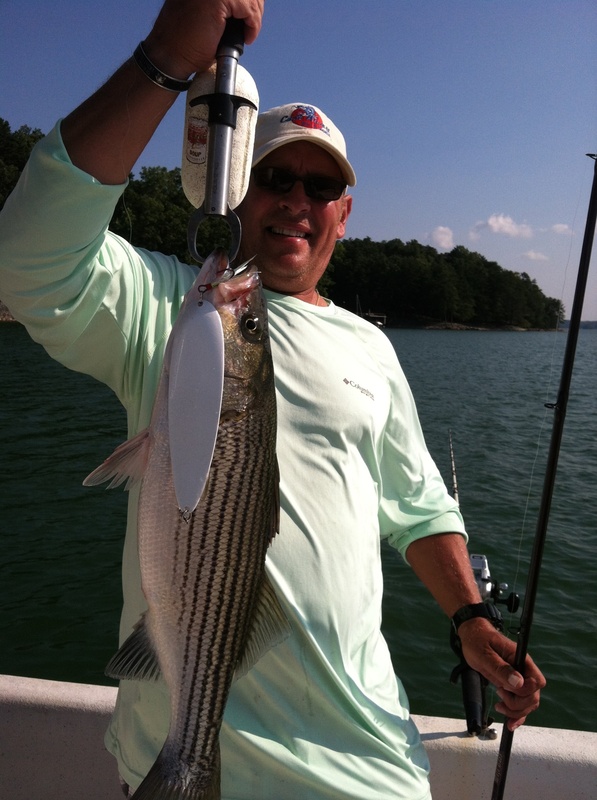 The stripers are moving around inside and outside the creek and it’s no easy task to find them but when you do, it’s on! 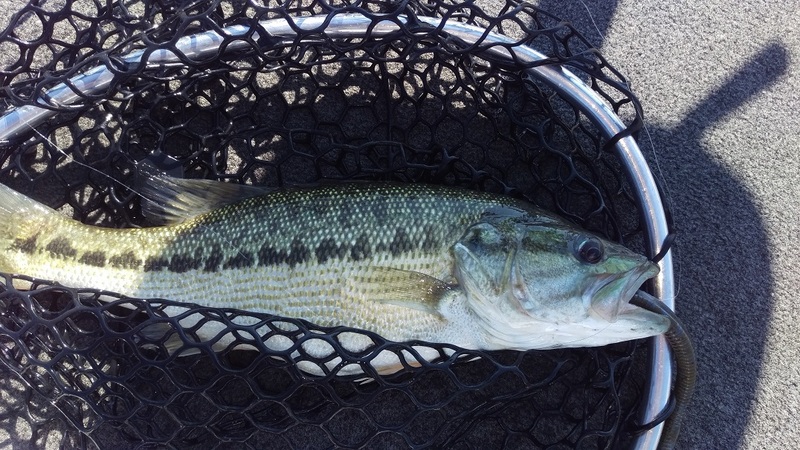 As far as the bass bite is concerned, as I write this we are noticing more and more bass moving into the shallow water. The drop shot bite was very strong for the past month but now it’s starting to slow down a bit. 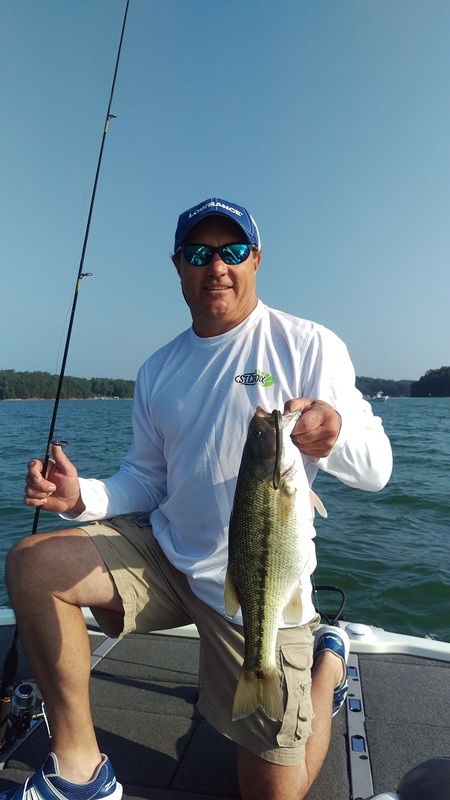 The fish are still hanging around the deeper structure in a drop shot pattern but many of the fish are looking for swimming baits and not vertical baits. I think the pattern is getting ready to change a little and I believe were going to start catching more quality in the shallows. 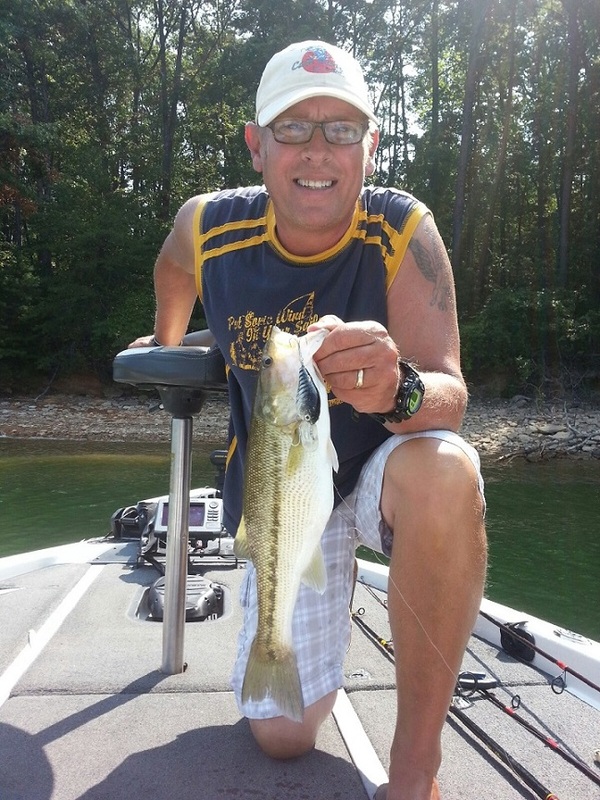 The topwater bite should be just around the corner if the fish follow the surface temps that are cooling. Right now the surface temps are still in the lower 80’s but once it hits the 70’s we should start seeing a great surface bite. 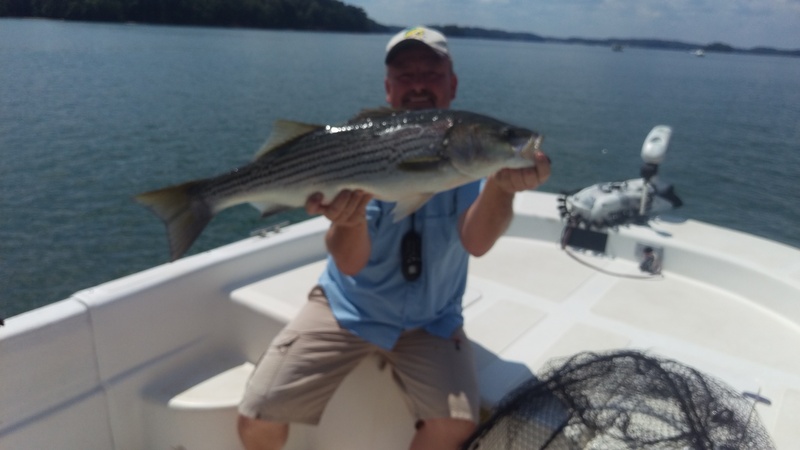 Here are some pictures and videos from the last month including some very nice dropshot fish as well as some awesome striper videos. Enjoy!